Professor Mike Coffin is a marine geophysicist at the Institute for Marine and Antarctic Studies (IMAS). His research focuses on large-scale volcanism on the seafloor (large igneous provinces, or LIPs), tectonic plate boundaries, divergent continental margins, and interactions between the solid Earth and Earth's environment. Primarily an observational scientist, Coffin has led or participated in 31 blue-water research voyages in the Pacific, Southern, Indian, and Atlantic oceans. The inaugural Executive Director of IMAS, Mike has also held leadership positions at the UK's National Oceanography Centre (inaugural Director of Research) and the Integrated Ocean Drilling Program (inaugural Chair, Science Planning Committee). Origin and evolution of large igneous provinces (LIPs) – oceanic plateaus, volcanic divergent margins, and continental flood basalts. Crustal structure, stratigraphic history, and tectonic development of oceanic plateaus. Linkages between LIP events and major global environmental changes, including oceanic anoxic events and mass extinctions. Initiation of tectonic plate subduction. Stratigraphy and structure of passive continental margins. Development of submarine canyon systems. Current editorial service: Editorial Board, Progress in Earth and Planetary Science (2013-present); Associate Editor, Island Arc (2006-present); Editorial Board, Journal of Asian Earth Sciences (2006-present); Editorial Board, Marine Geophysical Researches (1997-present). Reviewer of manuscripts for: Nature, Science, Geology, Geophysical Research Letters, Earth and Planetary Science Letters, Geochemistry Geophysics Geosystems, Journal of Geophysical Research, Geophysical Journal International, Journal of Petrology, Tectonics, Solid Earth, Lithos, Earth Science Reviews, Tectonophysics, Marine Geology, and special volumes. Reviewer of proposals for: US National Science Foundation, UK Natural Environment Research Council, Natural Sciences and Engineering Research Council of Canada, Australian Research Council, Schmidt Ocean Institute, Research Council of Norway, Ifremer, Japan Society for the Promotion of Science, Italian National Program of Research in Antarctica (PNRA), and the New Zealand Ministry of Business, Innovation, and Employment. Professor Mike Coffin's research aligns with the University's research theme of Marine, Antarctic, and Maritime. Large Igneous Provinces: Coffin pioneered integrated, synergistic analyses of oceanic plateaus, volcanic divergent margins, and continental flood basalts (aka large igneous provinces, or LIPs). Rigorously compiling a catalog of LIPs globally and throughout our solar system, both for the first time, he and his team documented similarities among continental, oceanic, and transitional LIPs; provided evidence that at least some LIPs originate in the lower mantle; compared rates of LIP crustal production to those of oceanic crust at mid-ocean ridges; and related LIP events to global environmental changes. The work reaches a broader audience through use in textbooks and museum exhibitions. A co-edited book (American Geophysical Union, 1997) is a definitive tome on continental, oceanic, and planetary LIPs. Oceanic Plateaus: Coffin and his team have focused attention on pioneering investigations of the crustal structure, stratigraphic history, and tectonic development of Earth's two largest oceanic plateaus, Ontong Java and Kerguelen. This body of work has helped define the features' anomalous lower crust; illuminate the submarine history of Ontong Java and the subaerial history of Kerguelen; document the continental nature of parts of the Kerguelen Plateau; quantify the magma flux from the Kerguelen hotspot over the past 130 million years; and develop models for the origins of these features. Coffin and colleagues have also investigated the origin and evolution of the Manihiki Plateau, providing the first evidence for subduction-related contamination of Manihiki Plateau basalts and detailing its post-emplacement deformation. In addition, they presented the first evidence for the continental foundation of the Naturaliste Plateau. Obduction and Ophiolites: Coffin and colleagues have proposed that LIPs may be much more significant sources for ophiolites than normal or backarc oceanic crust. They have documented how the Ontong Java Plateau is both obducting onto and subducting beneath the Solomon Islands arc, and that the Ogasawara Plateau is being obducted. Solid Earth-Earth's Environment Interactions: Coffin cooperates closely with paleoceanogaphers in investigating linkages between LIP events and major global environmental changes. A particular focus has been documenting synchronous LIP emplacements with oceanic anoxic event (OAE) 1a and OAE-2. The work is aimed at understanding processes, rates, and feedback mechanisms, both to understand past changes and to provide insight into potential changes during the Anthropocene. Recently he has taken a particular interest in mass extinctions, as outlined in his 2014 TEDxHobart presentation. Subduction Initiation: Coffin and his team have focused attention on how subduction starts by investigating interactions between the Australian and Pacific plates south of New Zealand along the Macquarie Ridge Complex. They have presented evidence for compression, transpression, and transtension along the plate boundary, and develop models for how the boundary has evolved since seafloor spreading ceased approximately 10 million years ago. Rifted Divergent Margins: Coffin and co-workers undertook the first comprehensive marine geophysical study of the conjugate East African-Madagascan margins and intervening Western Somali Basin. Their body of work established the stratigraphy and structure of these margins, including the presence of salt diapirs, for the first time, and remains the definitive geophysical research in this area. Coffin and colleagues have also studied the divergent margin of eastern North America and Elan Bank (Indian Ocean), both characterized by massive volcanism accompanying rifting and breakup. Plate Tectonic Reconstructions: Working as a member of international teams, Coffin has contributed to plate reconstructions of the Indian and Southern Oceans. 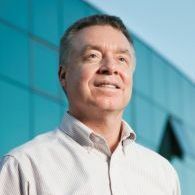 Ocean science is global science, and Professor Mike Coffin cooperates extensively with scientists from Africa, Asia, Europe, North America, Oceania, and South America. Having held positions on four continents, he works with a broad and deep network of marine scientists in academia, government, and industry. He is currently involved in four international projects, each of which has a significant seagoing component. Professor Mike Coffin has authored more than 100 publications in the international, peer-reviewed literature, including articles in Science, Nature, Scientific American, Reviews of Geophysics, Earth and Planetary Science Letters,Geology, Paleoceanography, Geochemistry Geophysics Geosystems, Tectonics, Journal of Geophysical Research, and Journal of Petrology. His most highly cited paper, 'Large Igneous Provinces: Crustal Structure, Dimensions, and External Consequences' (Reviews of Geophysics, 1994), has garnered nearly 1000 citations. The Indian Ocean contains numerous enigmatic submarine ridges and plateaus. We will investigate how Williams Ridge, extending southeast of the Kerguelen Plateau, and the once-abutting Broken Ridge formed and developed over the past 100 million years. Acquisition, analysis, and interpretation of the new geophysical data and first-ever geological samples from Williams Ridge and the conjugate portion of Broken Ridge will reveal their crustal nature in the context of voluminous magmatism associated with mantle hotspot activity and changing tectonic plate configurations. This, in turn, will shed light on underlying geodynamic processes and will test and improve current plate kinematic models. This project aims to advance understanding of the Australia-Pacific plate boundary the Macquarie Ridge Complex in the Southern Ocean. To achieve this, the boundarys crust and upper mantle will be imaged in high resolution via a novel, onshore-offshore passive seismic experiment. The new data will 1) elucidate the processes generating the world's largest submarine earthquakes not associated with active subduction, and 2) illuminate exhumation of normal oceanic lithosphere. Project outcomes will impact earthquake and tsunami hazard assessment, benefiting policy-makers and at-risk communities along the southeast Australia coastline. Geoscience community will benefit from insights on how plate boundaries evolve. Large igneous provinces (LIPs) are formed from massive outpourings of lava in geologically short periods of time (1 to 5 million years). As a result, they are at times associated with extinctions of life on Earth.The Kerguelen LIP, one of Earth's largest, formed over a much longer geological period than other LIPs,over at least 25 million years. During this time, the volume of magma erupted and intruded could coverAustralia in 250-metre-thick lava flows. Despite its enormous volume, the Kerguelen LIP did not result ina mass extinction. This project investigates how processes deep within Earth's interior interacted withsurface motions to form the Kerguelen LIP. The project combines geoscientific data with open-sourcesoftware to link the deep Earth with surface geological processes. The intended outcome is to provide aclearer understanding of how the internal workings of our planet drive and interact with the Earth's crust,and how these interactions have impacted life on Earth. Using the Schmidt Ocean Institutes research vessel (RV) Falkor, this project will investigate three prominent, yet unmapped and poorly known features on the Ontong Java Plateau (OJP) in the western equatorial Pacific Ocean: Ontong Java Atoll, Nukumanu Atoll, and Kroenke Canyon and Fan. The primary aims of the project are: to test potential genetic relationships between a) the atolls and the OJP, and b) the atolls and Kroenke Canyon; to understand and model how atolls and canyons form and evolve on oceanic plateaus, isolated from terrestrial influences and subject to sea level fluctuations; and to contribute to understanding tsunami risk on low-lying atolls. During the 30--day RV Falkor research expedition, research will acquire multibeam bathymetric and sub--bottom profiling data for the first time from Ontong Java Atoll, Nukumanu Atoll, and Kroenke Canyon and Fan. Multibeam bathymetric data will elucidate the morphology of the seafloor around the atolls, including their volcanic foundations, and along the Kroenke Canyon and Fan system. Sub--bottom profiling data will reveal the nature of the seafloor (sediment vs igneous rock) and its shallow stratigraphy. Together, the multibeam bathymetry and sub--bottom profiles will enable identification of promising sampling (dredging, coring, drilling, ROV) locations for future research expeditions. This proposal is for a 5-year Australian membership of the International Ocean Discovery Program. TheProgram will recover drill cores, situate observatories, and conduct down-hole experiments in all the worldsoceans from lowest to highest latitudes to address fundamental questions about Earths history andprocesses within four high-priority scientific themes: Climate and Ocean Change reading the past andinforming the future; Biosphere Frontiers deep life, biodiversity, and environmental forcing of ecosystems;Earth Connections deep processes and their impact on Earths surface environment; Earth in Motion processes and hazards on a human time scale. Membership of the Integrated Ocean Drilling Program (IODP) will provide high-leverage access to the largest, and most effective international geoscience program. Thinking of undertaking a PhD, Masters, or Honours? Please feel free to discuss ideas with Mike. Potential PhD topics are listed on the IMAS website. Mike is actively recruiting research students; applicants must have a strong track record (for PhD: Australia/New Zealand - 1st class honours; overseas – MSc or journal paper in English and solid English language capabilities).Mike has supervised students and post-docs at the University of Tasmania, University of Tokyo, and the University of Texas, and has served as an external examiner for students at the University of Sydney, University of Oslo, and City University of New York. Overall, he has been primary supervisor for eight RHD students and five post-docs who are now employed in academia, industry, and government.